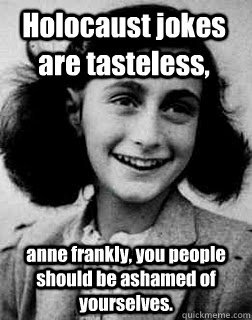 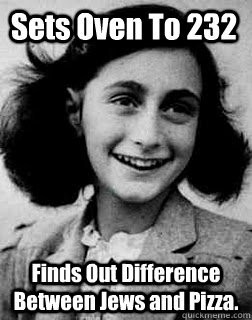 Holocaust jokes are tasteless, anne frankly, you people should be ashamed of yourselves. I used to have ADD... Then they sent me to the concentration camps. 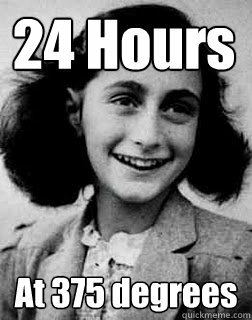 Sets Oven To 232 Finds Out Difference Between Jews and Pizza. 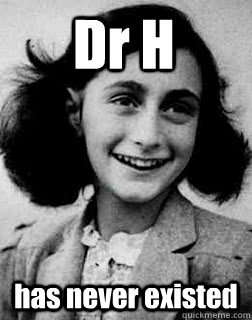 Deny ME,will you? 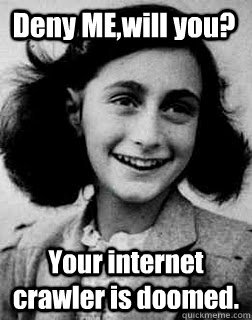 Your internet crawler is doomed.